Today in class we finished up the book talks that started on Friday. For October’s book talk I will begin them on a Thursday and that way we can finish up on a Friday. 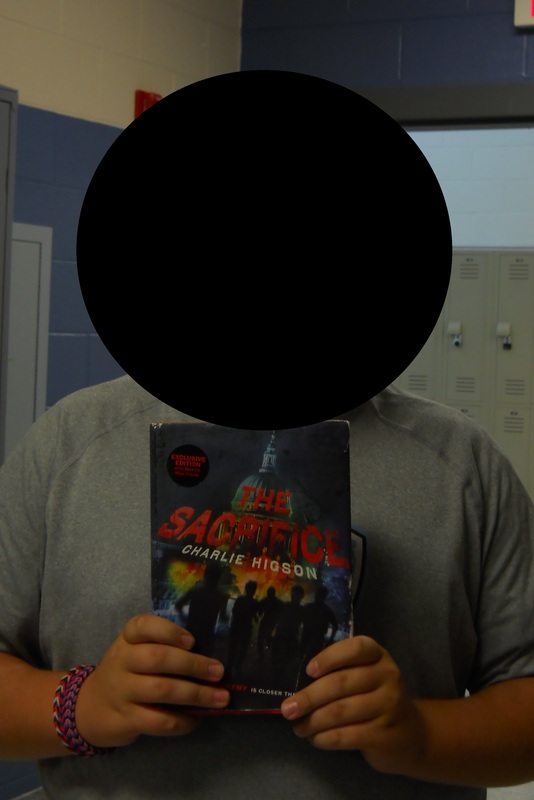 I was able to share some mystery/horror genre books with most classes. 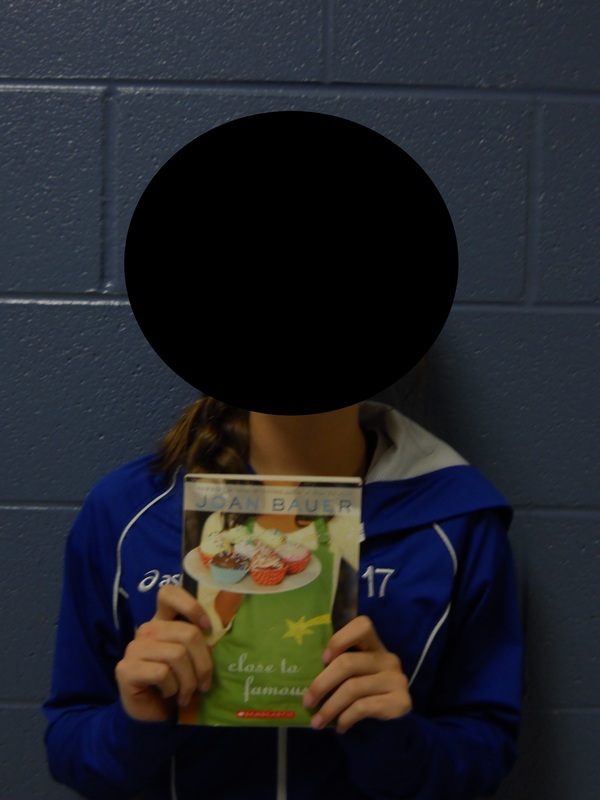 7th hour I was only able to share 1 book due to so many book talks needing to finish up. Overall, the students did a great job with their book talk presentations. I think the hardest part for them to realize is that it is a presentation and not just a summary of their book or reading off of their notes. Students really need to practice engaging the audience by scanning around the room with their eyes as they speak, speaking up so that the whole audience can hear the speaker, and, in some cases, slowing down and enunciating so that we can clearly hear what you are saying. I didn’t expect perfection from the first book talk but I think that students are able to see some areas that we can work on throughout the year as they continue to prepare for these book talks. The more the student practices at home really does make a difference in the classroom when the nervousness sometimes begins to settle in. I encourage the students to continue to practice in front of the mirror or even practicing in front of their parent, siblings, etc. Tomorrow we are taking the Explore practice test during 2nd, 3rd, 5th, 6th & 7th hours. Students will still have 1st and 4th hour exploratory classes. The Explore test is a test they will take in September of 8th grade. Therefore, it really reflects what students learn in 7th grade. I talked with the classes about the importance of this test and how important it is to take it seriously so that their teachers could see what we needed to work on this school year. The entire test is multiple choice. Teachers will receive the results back in a few weeks and we can use this information to help us work with students individually and in small groups. 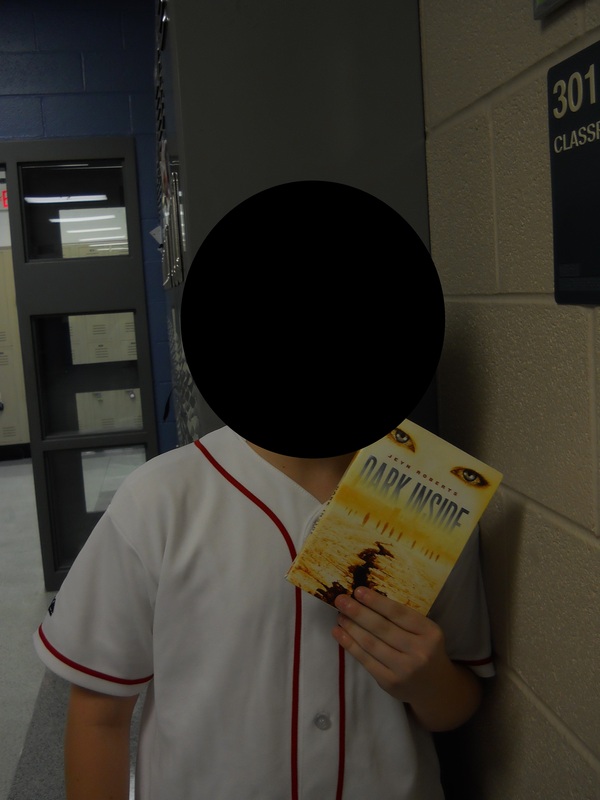 Bring a book for explore testing tomorrow. Ideally this should be the mystery/horror book that you will give your book talk on at the end of the month. I wanted to share a few pictures from our recent library visit. 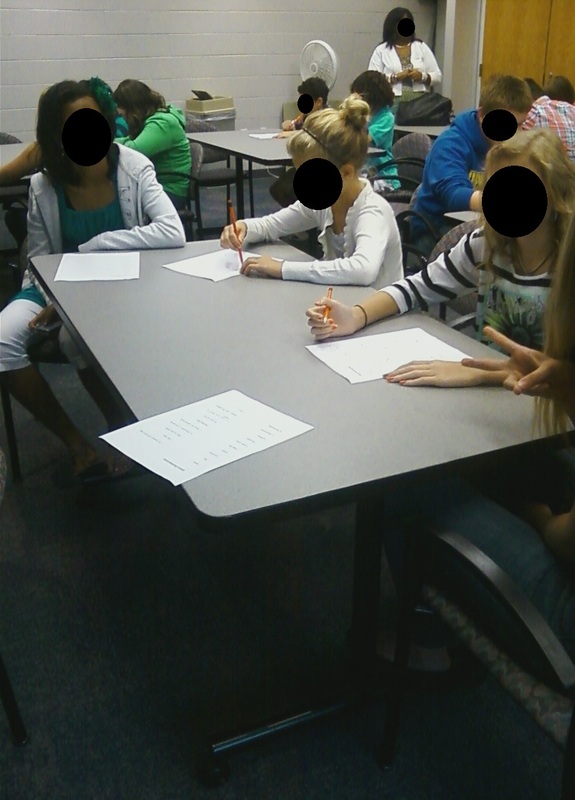 I am not that great with photo editing but I didn’t want to put student faces on the internet so I put a black circle over faces of the students. I wish I could have just blurred their faces but that is a tutorial I’ll have to figure out later so I just went with what was easy. This is the conference room where the librarian showed us how to use the catalog online and reserve books. The students were really attentive and did a great job! 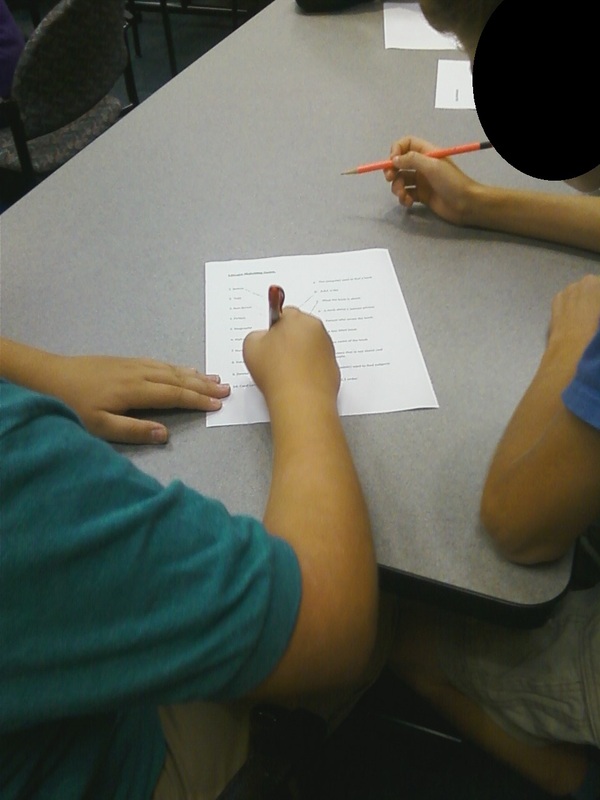 Next, the students did a multiple choice match game that the librarians created. They matched the different genres to their definitions, went over the dewey decimal system, card catalog, etc. Here are two students working together on the matching worksheet. More students paired up and working. 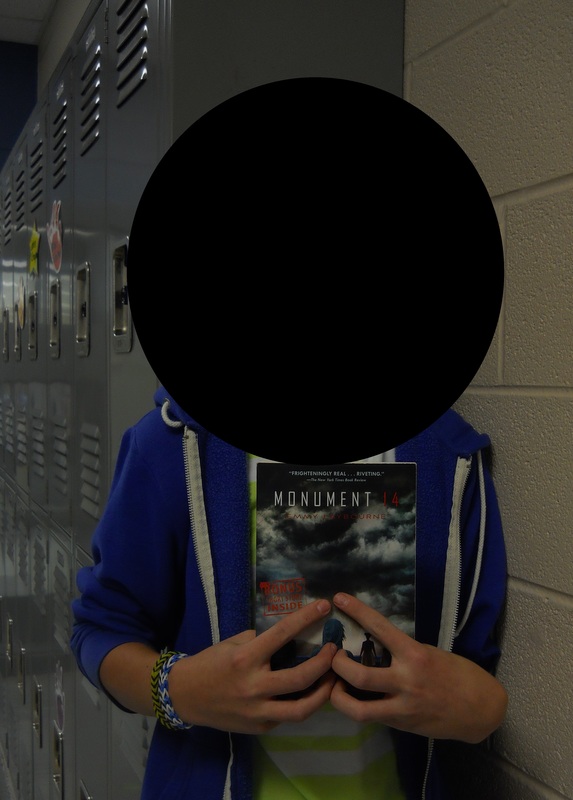 On Friday, I also started taking photos of each student with the book that they discussed for their book talk. My goal is to have a picture with every student every month. I’m going to print these out and put them on a poster in the classroom. 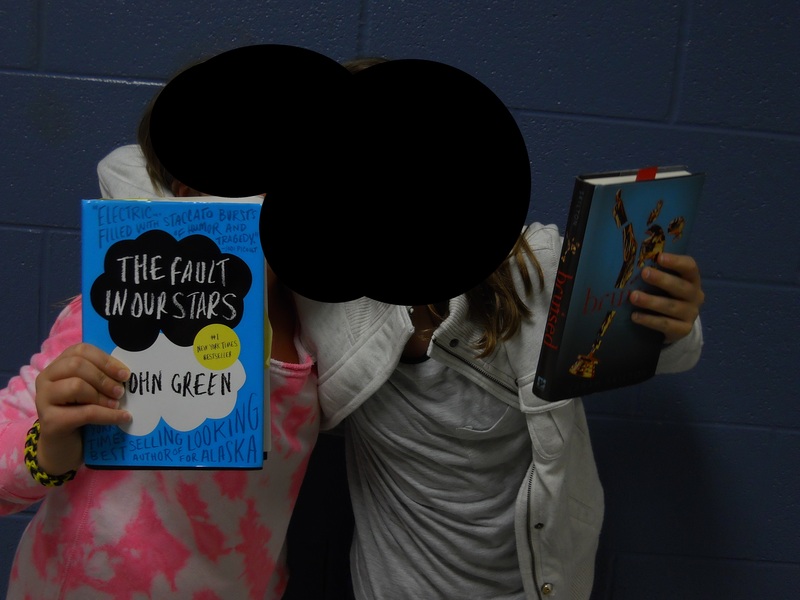 That means that each month students can see 115 pictures of their friends and what their friends read for the month. My goal is that instead of the book talks just staying in one class that students can then talk to one another about the books that they read and see if they might like it too! I’m going to continue to add to these, so after 9 book talks this year the students will see over 1,000 photos with different books! Hopefully it will inspire them to read a new book and to talk to one another more about books! 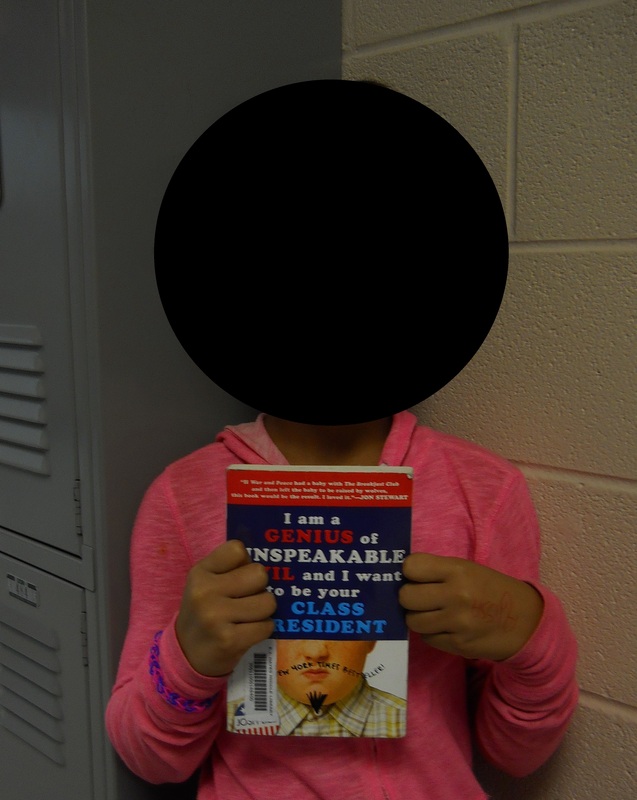 I was so excited to hear the students book talks today in class! Overall, the students did a wonderful job. Many had looked over the guidelines and the rubric and were prepared for today’s presentation. It was really evident who had practiced and read their book. 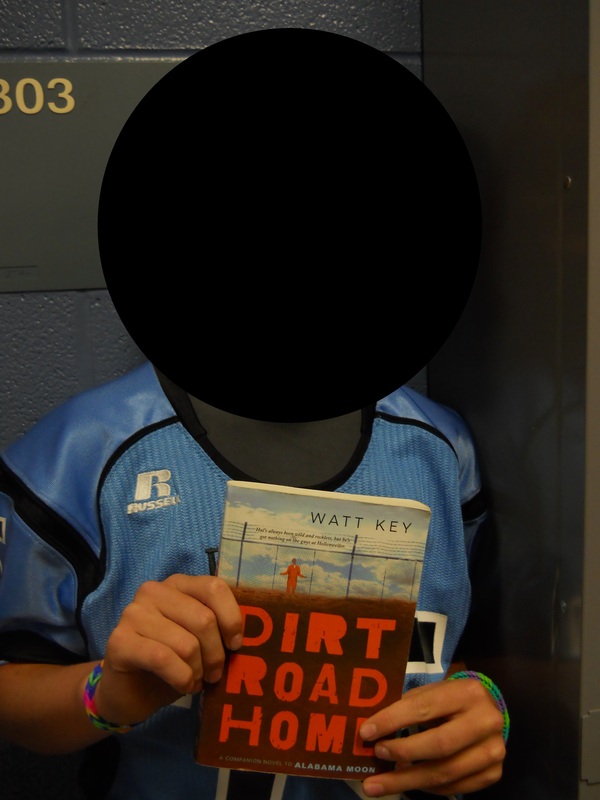 I heard a few students say at the end of class that X student made them want to read the book too! That is exactly why I wanted to do the book talks! I am so glad that they are hearing about books and “selling” them to one another. Reading is contagious! Unfortunately, we were unable to finish all of the presentations so we will have to continue on Monday. Monday is also our scheduled library day, however Ms. Butler is setting up the book fair so she has pulled books for us and I will share them with the students in class on Monday. 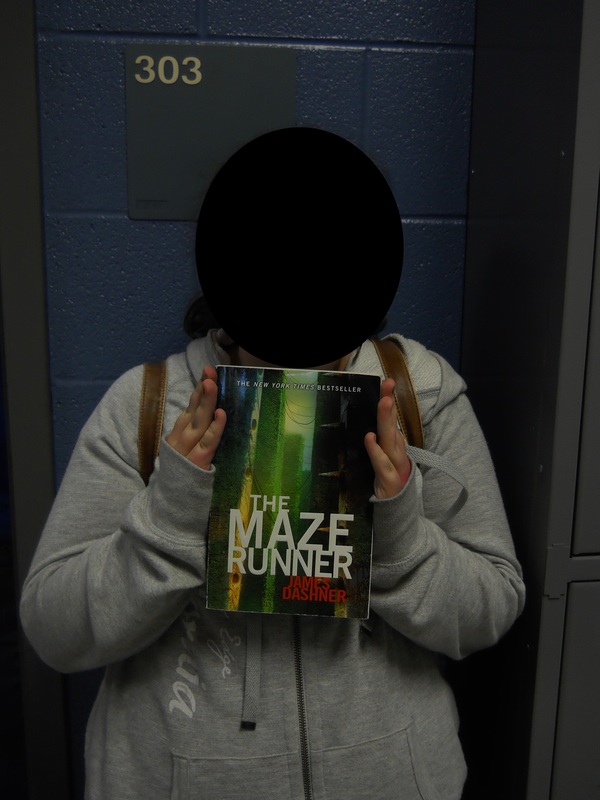 Students will be allowed to return their books to Ms. Butler in the library and if they know what book they want they will be allowed to go pick it up from the library, however they will not have browsing time. They can also let me know what book they want and I can pull it for them. Begin to think about your next book talk. It will be on the mystery genre, however I have included horror books into this as well–most horror books usually have a mystery anyway. 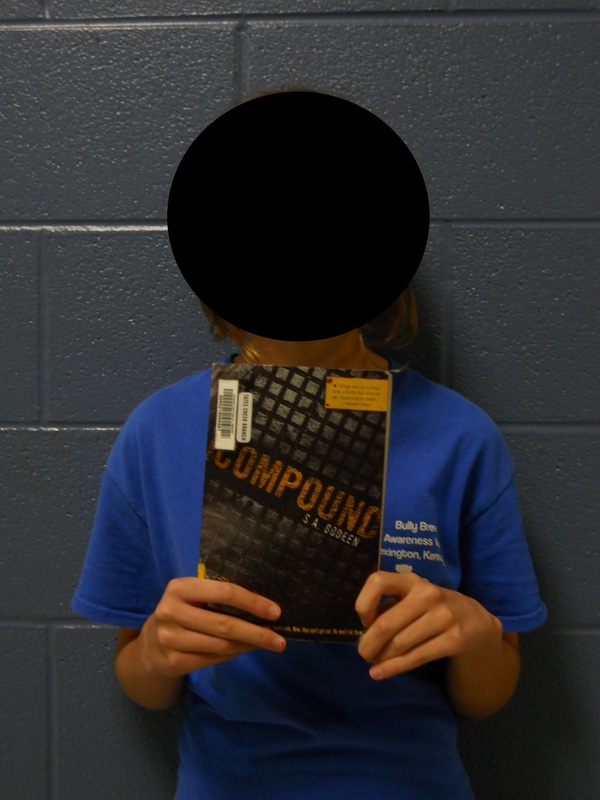 Look on the school website under “media center” and click “catalog” to see if Ms. Butler has the book that you want to read. Check the public library website at http://www.lexpublib.org and see if they have it available for you. Remember, they also have lots of electronic copies of books too that you can download right onto your device. I am so excited for our book talks tomorrow! I can’t wait to see the kids present their book “commercials” to their peers. I know a few students told me that they were nervous for tomorrow and I talked to a few of them about just trying to relax and that it is just something we need to practice every month. I will grade their speech according to the rubric, however I know that the first few times the students will be more nervous than they probably will be in May after having done nine book talks. Today in class we started looking more into figurative language. I modeled this with the students and then the students were set off on their own to work on identifying figurative language in their greek mythology book. We will continue this next week. Prepare for your book talk tomorrow. 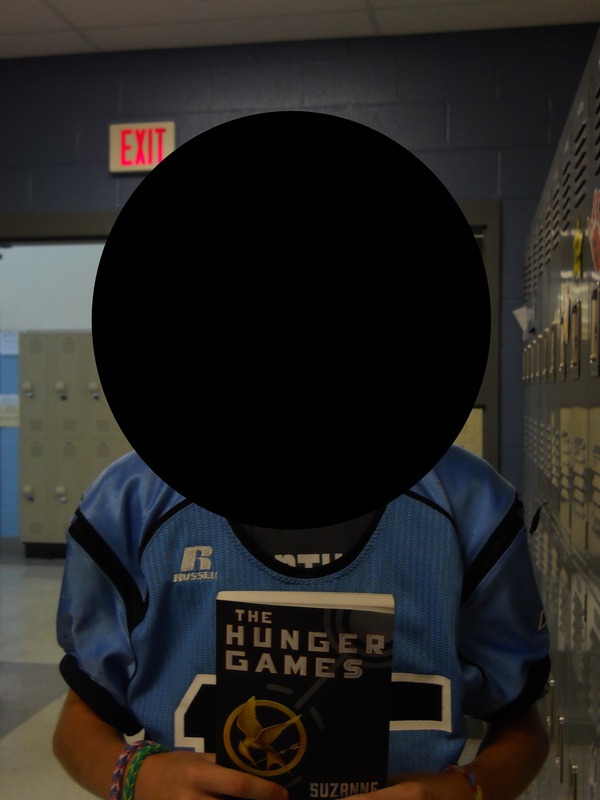 Please review the guidelines on the blog under the “Book Talk” page and look at the rubric that is listed by class period. I am sorry to post this so late, however I had an appointment after school and am just now getting home. Today in class I answered all questions related to the book talk that is on Friday. Many students are a little nervous about standing in front of their peers and how this was going to be graded. 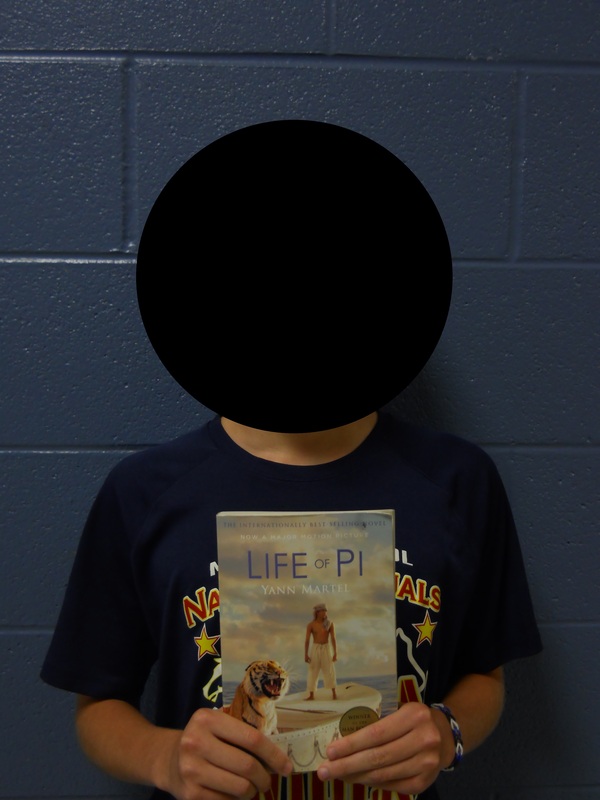 I reminded them again to look over the rubric on the blog and I had some extra book talk guidelines (which are also on the blog at the top of the page under “book talk”) that many students picked up. You will probably notice a new grade in Infinite Campus for the student ISN journals. I was able to go through 2nd and 3rd hours journals over the weekend. I have been telling the students I will do this one or two times each grading period to check to ensure that they are up-to-date. I give them class time to do this and I show them my journal on the screen and we do this together. Therefore, I think it is important that they continue to keep up with this journal since we do it together. I did have many students who still did not have everything filled out or were missing notes, therefore they did not receive the full 100 points. I will do another check in 3 weeks so they will need to add anything they are missing. For the last little bit of class we were able to discuss figurative language. In 7th hour I was able to pull a small group together to begin using a graphic organizer and practice modeling identifying figurative language in a book with them. They will continue tomorrow on their own practicing using their greek mythology book. I will continue to also pull small groups in and work on this over the next few days. 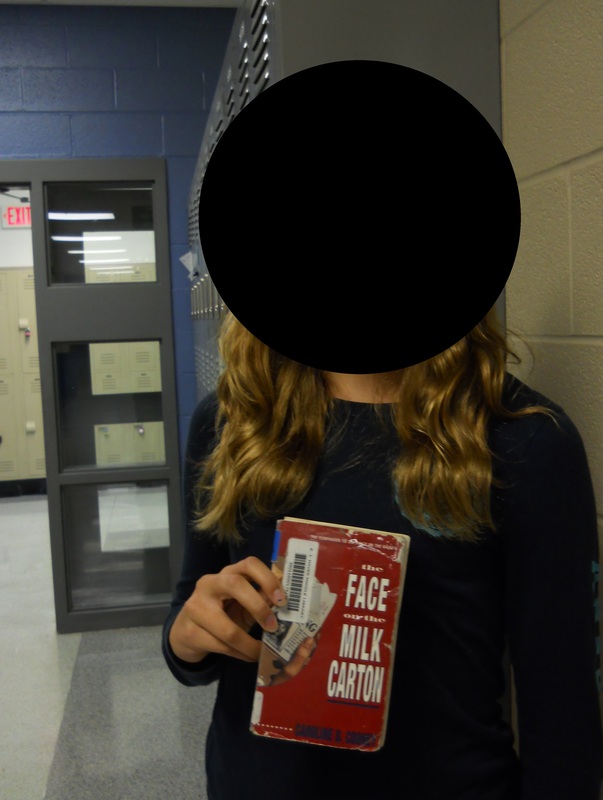 Prepare for book talk on Friday, September 27! 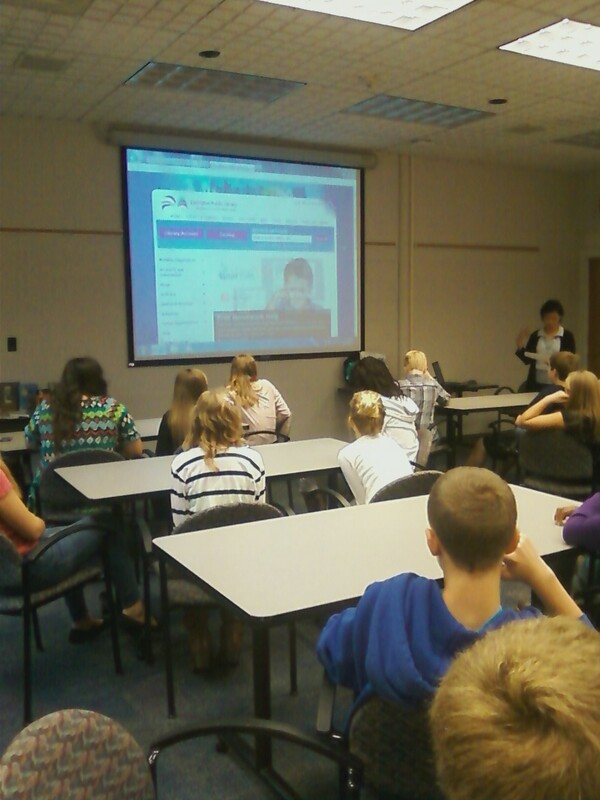 Today 5th and 7th hour went to the Eagle Creek Library. 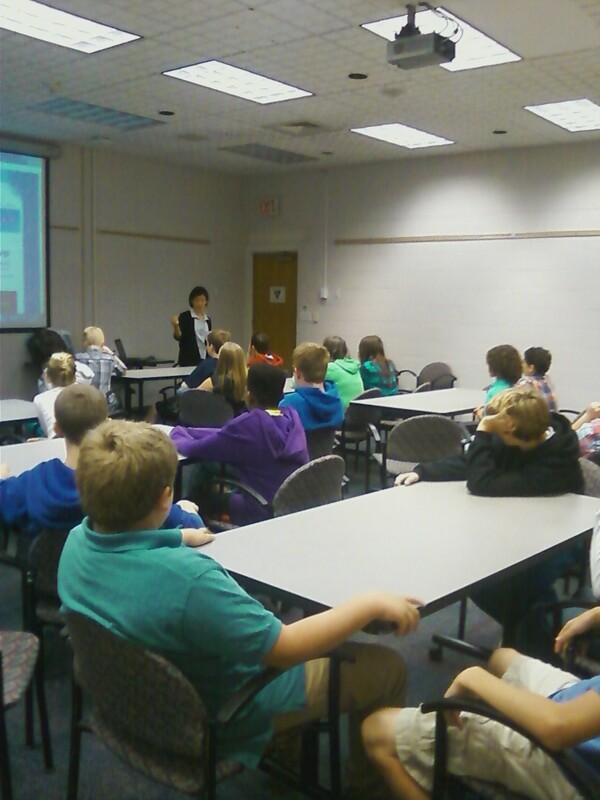 The librarian spoke with the students about all that the public library has to offer when they get a library card. 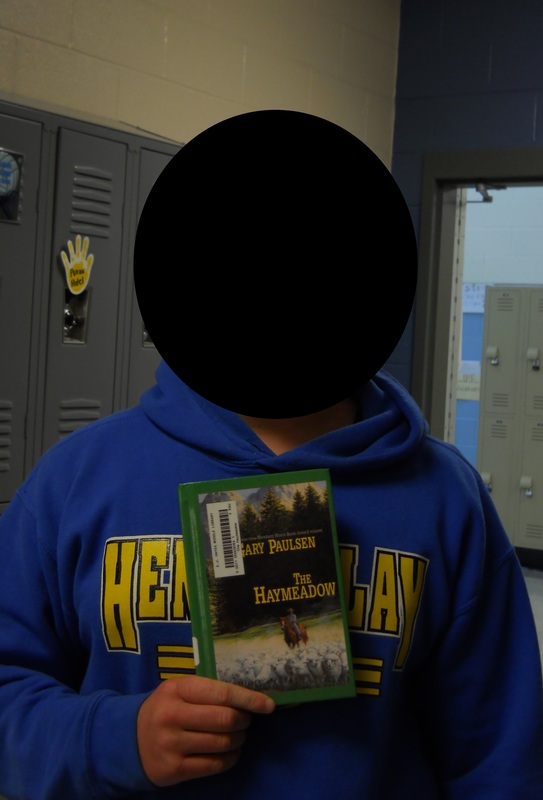 Several students brought their cards today and even checked out books! I think the free wi-fi was enticing to many students and to find out that they can print at the library or bring their own device and sit at a table to do their own work. The public libraries are so inviting and a great place for students to quietly read or study for a class. 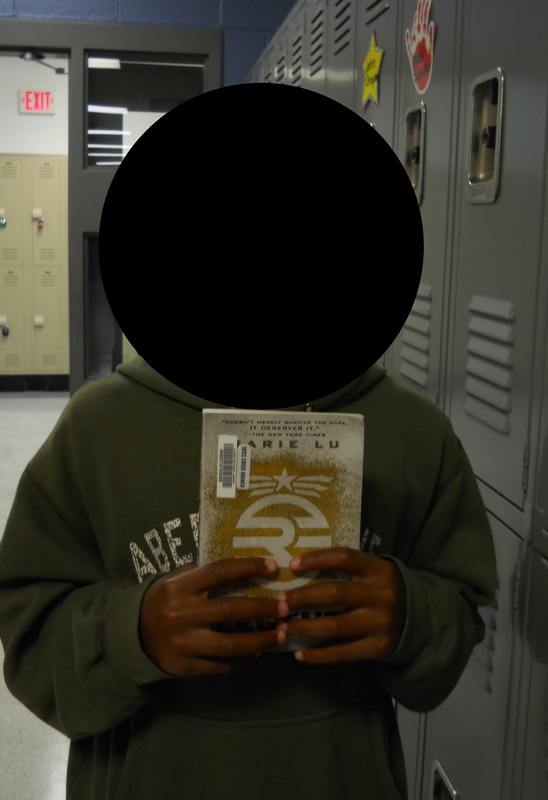 A big perk: With a library card you can check out up to 35 books at one time! 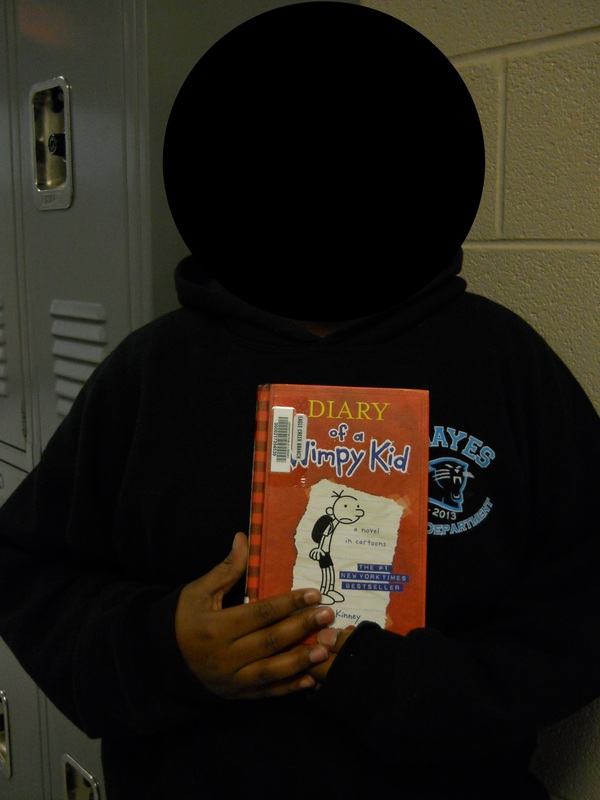 I know some of my students are avid readers and would love to check out more than one at a time. Returning a book is also a breeze! Many of the libraries have a drop box outside of the library to help with making returns easily. I know that the Beaumont library has a drive through to drop off books and the Eagle Creek library has a book drop right in the glass front door. 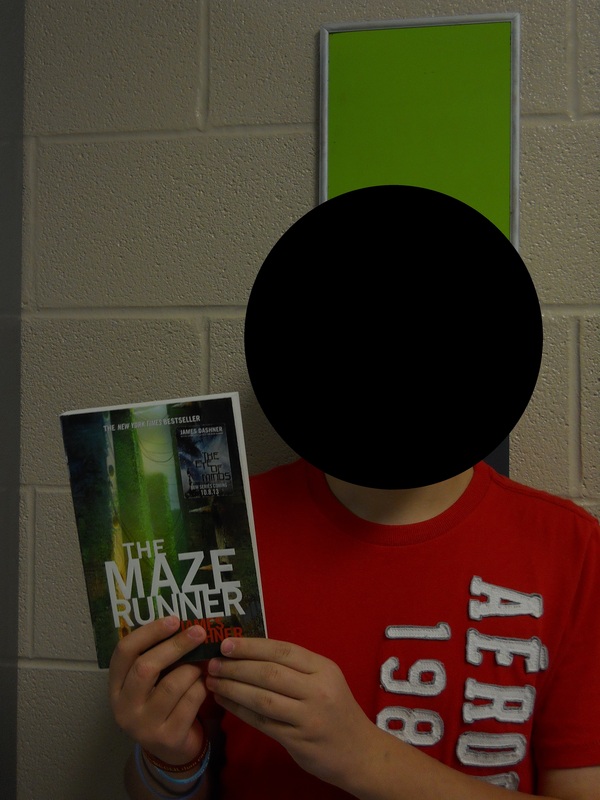 If the students would like to get a jump on October’s book talk the genre is mystery or horror books. Monday & Tuesday I will be out for the Literacy Design Collaborative (LDC) project (http://www.literacydesigncollaborative.org/). This is something that the Science and Social Studies teachers in the building will also be attending later this month. Therefore, the students will have a substitute and I expect them to be on best behavior. Please give your student a heads up about the substitute because I was not able to talk about this with all of the classes today. 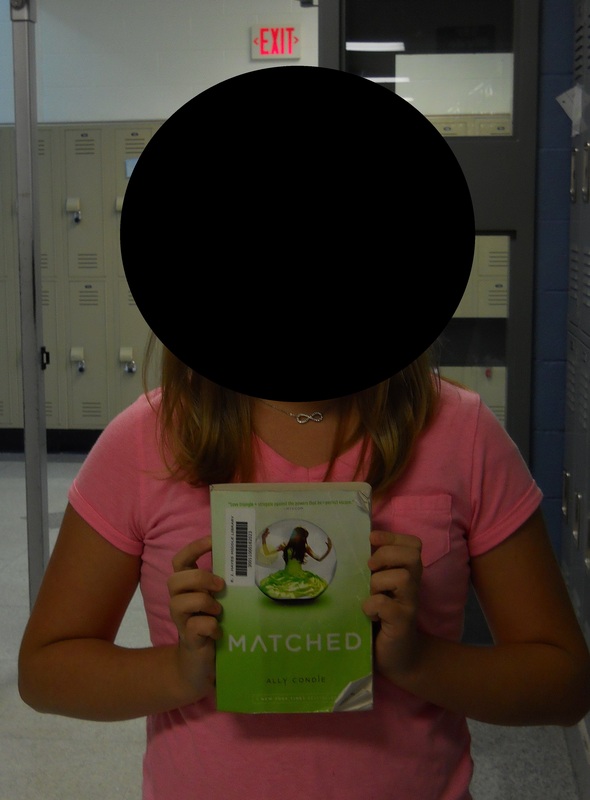 Prepare for your realistic fiction book talk that is Friday, September 27. Please see the tab at the top of the blog marked “Book Talk” to look over the Book Talk Guidelines and the rubric that is posted. We had a fantastic day today! 2nd and 3rd hour went to the Eagle Creek Public Library. The librarians greeted us the moment we stepped off of the bus and led us into the conference room to discuss how books were organzied at the library and all that the library had available for us to use. 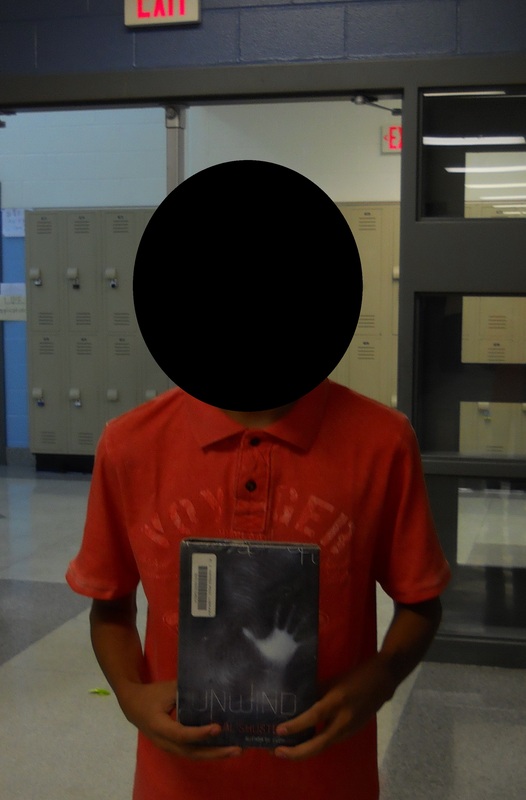 I think many students were surprised to learn about the ebook download and that if they had a library card they could get ebooks on their device and keep the book for 7 days or 14 days and then electronically return the book! Many students also found out that they have digital magazines now for check out! I was really surprised that they had a tutoring service available where you can ask questions and have one-on-one tutoring electronically. I was also happily surprised to find out that they had a foreign language electronic tutor to help with Spanish, Chinese, French, and as some of the kids pointed out even pirate! HA! 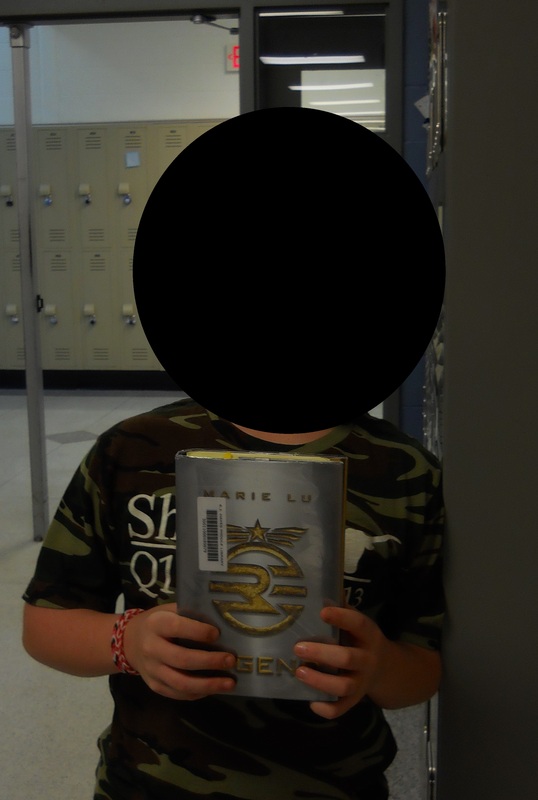 We then briefly toured the library and were shown the teen fiction area, however many of the books for middle schoolers may also be in the juvenille area so we also looked around there. 5th hour and 7th hour are going tomorrow in the morning so we will have an alternative schedule. I will take 5th hour from 10:10-10:45 and 7th hour from 11:05-11:40. In the afternoon I will then see 2nd hour and 3rd hour. This is due to the fact that the Fayette Co. buses have to be back by 1:30 to begin the pick-up and drop-off for the elementary school kids. During 5th hour and 7th hour today we continued our original myth. We worked on developing the antagonist or the “bad” character. 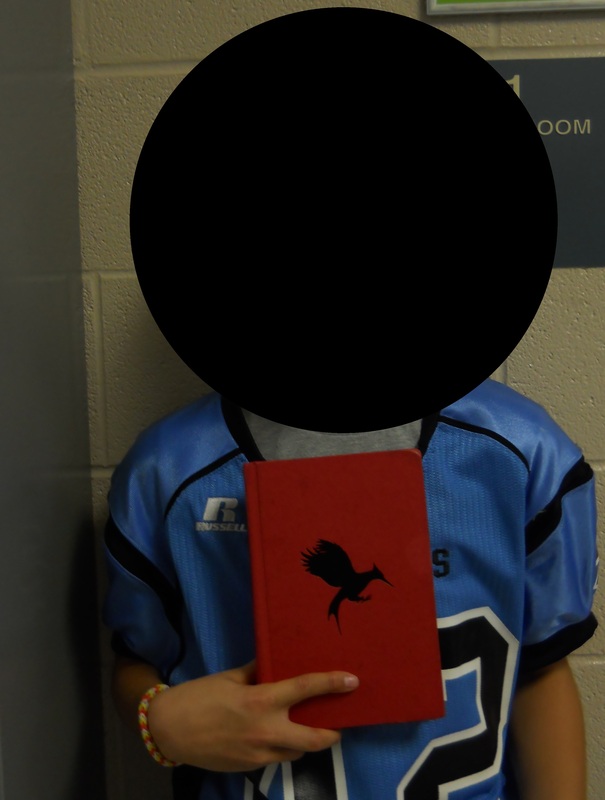 Students had to think about the character and whether they wanted them to be a god or goddess in their myth, a monster (cyclops, etc.) or a human. They are having a lot of fun making up these myths! Read 20 minutes in your realistic fiction book. Remember to begin to prepare your book talk by using the book talk guidelines under the “Book Talk” tab. If a student normally in 5th hour or 7th hour did not turn their permission slip in to me because they lost it I can accept a handwritten parent note that says, “______________(student name) has permission to go to the Eagle Creek Public Library with Mrs. Finley’s class by bus.” Then just a parent signature with a date works. I need all permission slips turned in to me by 1st hour tomorrow so that I can create the bus manifest of who will actually be on the bus to give to the bus driver. Today we had reading workshop in class. Students are continuing to read their greek mythology book and make inferences as they read. This is a huge standard for them and is difficult for even good readers so it is something that we will continue to practice for awhile. Just a reminder that I need permission slips to go to the Eagle Creek Public Library turned in by tomorrow! If you have lost your copy please just bring a note that says that you have permission to go on the field trip to the public library with a parent signature. 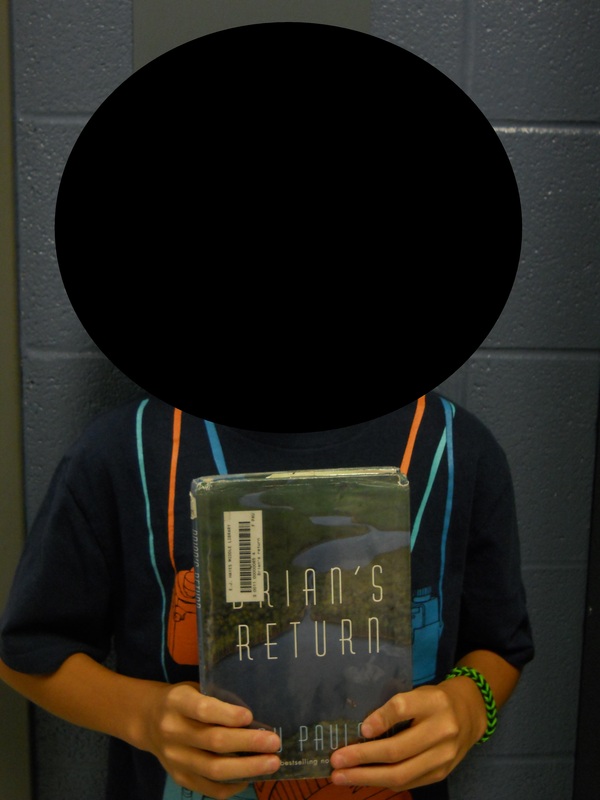 Read 20 minutes to prepare for your realistic fiction book talk on Friday, September 27. Please look over the book talk guidelines and the rubric for how it will be graded. It was so nice to meet everyone tonight! Thank you so much for coming out to open house. I will continue to send home the Scholastic book order with students that are interested in purchasing books. These are some of the best prices that I have found! The other benefit is that Scholastic gives us points per order so I am able to purchase more new books for our class library. 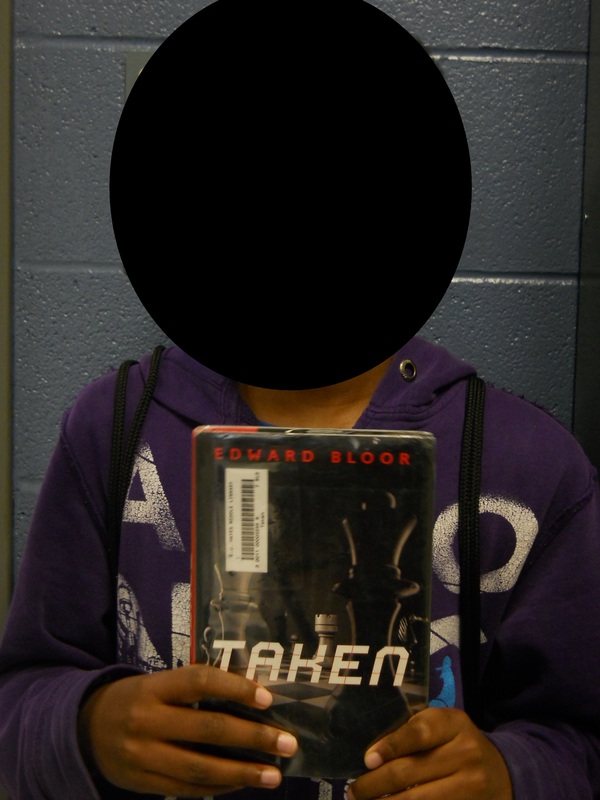 Our first book talk is Friday, September 27 on our realistic fiction book. 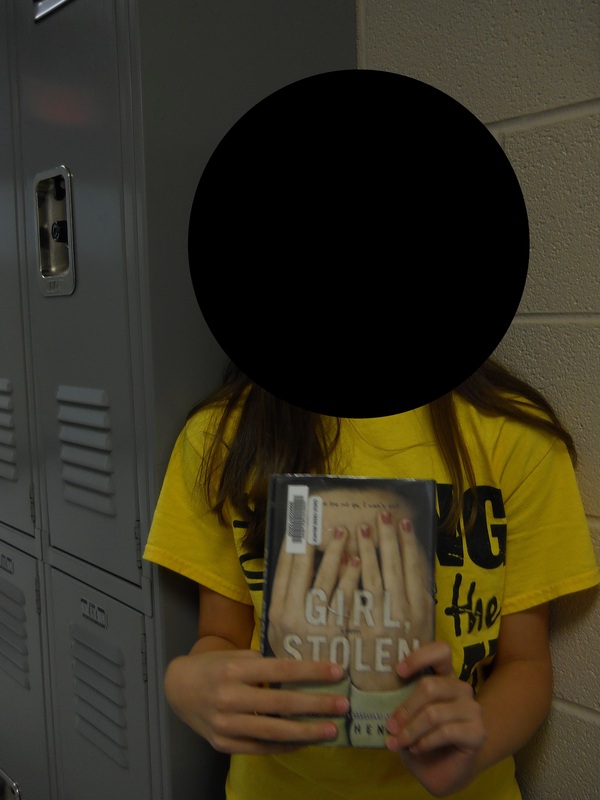 Our next book talk will be Friday, November 1 on a mystery (this can include scary/horror) books.